Do you want your kids to take a break from watching TV and playing computer games this summer? 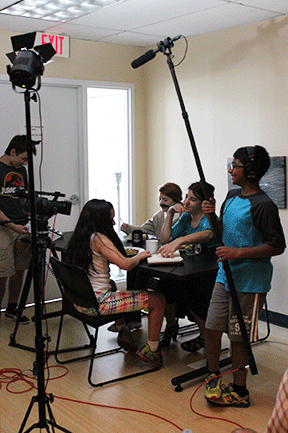 AIM Media Production Camps are a fun and creative summer activity. 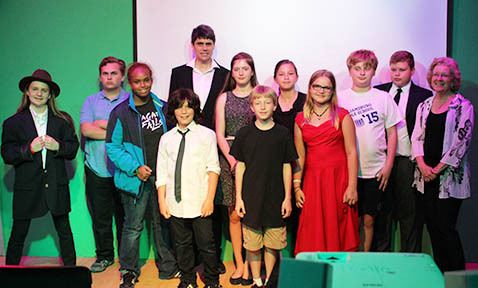 AIM’s Media Production Camps are for youth ages 8-13. Working together with the guidance of specialized instructors and media professionals, participants will develop a story idea, write a script, shoot footage, and edit their own short production. In the process, they will be introduced to the basic concepts of media literacy and critical thinking. The resulting short movies will be broadcast on Arlington Independent Media television channels in Arlington County, Comcast 69 and Verizon 38 throughout the year and will be prominently featured on our website and YouTube channel. We offer several different camps each summer - a two-week video production camp, a one-week iPad movie and animation camp, and a one-week radio production camp. Each camp is limited to nine participants. Sessions run Monday through Friday, 8:30am to 4:30pm. All camps take place at AIM's facility, located at 2701-C Wilson Boulevard in Arlington, VA. If you're curious about what campers create, check out our Media Production Camp playlist on YouTube. Questions? Contact AIM at 703.524.2388 or nathan@arlingtonmedia.org.